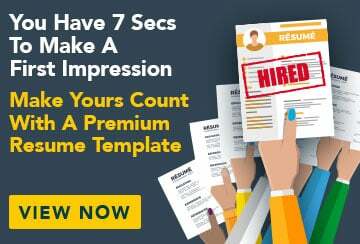 This free sample job ad for an executive marketing manager has an accompanying executive management marketing sample resume and executive management marketing sample cover letter to help you put together a winning job application. We are an international financial service business expanding at an estimated 20% p/a. We offer our clients world leading strategies and automated systems within the financial services markets. As part of our strategy to be the dominant player in our industry, we are seeking an outstanding achiever to recruit, develop and lead independent master and sub distributors who will market our services in over 50 countries globally. This is an opportunity to work with us in building a global business. The successful applicant will be responsible for working with existing distributors and for the recruiting, cultivating and maintaining of an effective global distribution network for this young and highly motivated group. We are seeking a leader with a proven track record in direct sales, franchising, licensing, senior sales management and/or the recruitment industry. Previous experience in the financial services industry is not a pre-requisite. The successful applicant will be driven, results focused with “can do” attitude. be able to develop and implement marketing, direct sales and business development plans to achieve or exceed agreed levels of profitable sales revenue. Given the nature of these roles, the successful applicant will be required to travel and spend time overseas. Based on experience and performance, an attractive remuneration package with salary base of $250,000 plus substantial performance bonuses and commissions. Please email your CV to careers@company.com in strictest confidence or call Ross Jones on 0407 627 377.